Home / Blog / Are Kentucky Clerk Kim Davis and Stewardess Charee Stanley Looking for their 15 Minutes of Fame? Those who refuse to do their job and follow the guidelines and rules of their employment because it conflicts with their religious beliefs, need to step down and get another line of work. It’s really that simple. So when Kentucky clerk Kim Davis refused to issue marriage licenses to gay people because she didn’t believe in gay marriage ( despite the Supreme Court’s ruling) and when stewardess Charee Stanley refused to serve passengers alcoholic beverages on her flights because she is a Muslim, they both received a major reality check. 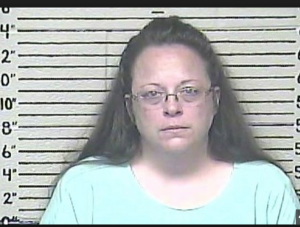 Kim Davis ended up in jail while Cheree Stanley was suspended from ExpressJet. 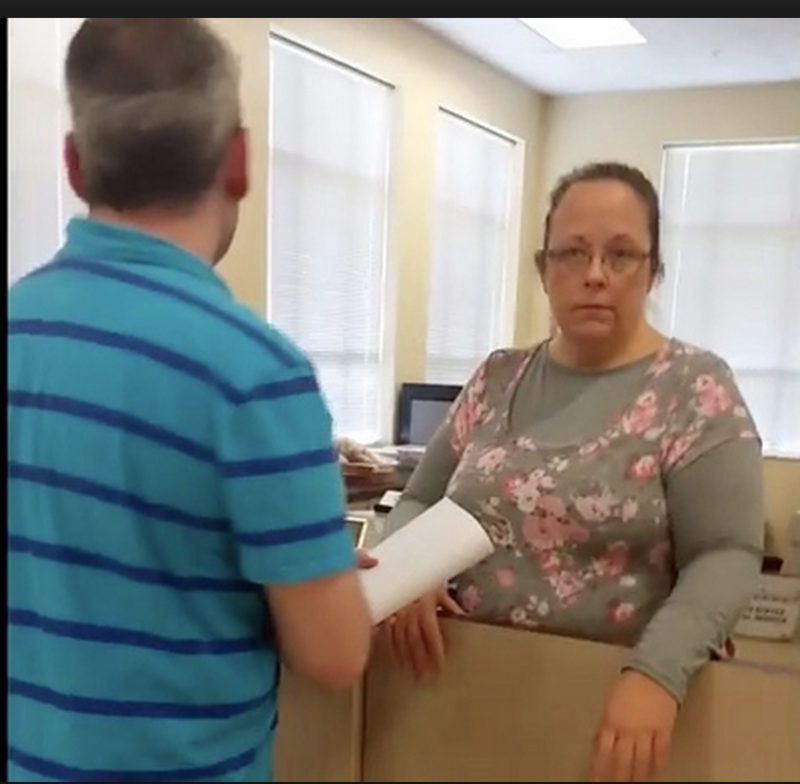 Initially Kim Davis acted like a martyr. She said she was willing to stay in jail for as long as it took as she was not ever going to issue gays marriage licenses. But now she is singing a different song. 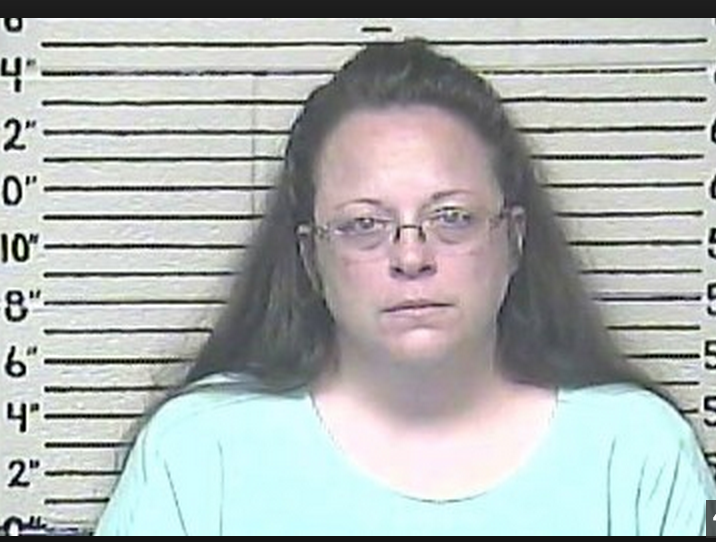 On Monday Labor Day, she asked the Kentucky governor to immediately free her from jail. Most likely, she is realizing that jail is not the Hilton and is not an easy nor a pleasant place to be. She now wants the court to issue her an exemption from having to issue marriage license to gays because of her religious beliefs. In the case of Ceree Stanley, who has only been a Muslim for 2 years, her airline placed her on administrative leave rather than allowing her to keep prompting other flight attendants to do her job and serve alcohol when customers ordered it. Other flight attendants complained that she was not doing her job, wearing a headscarf which was not part of their uniform, and reading a book of foreign writings. 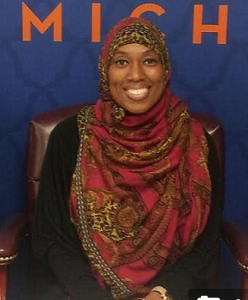 A Muslim civil liberties and advocacy group who is representing Stanley hopped on this complaint and claimed it was Islamophobic and that after being on administrative leave Staley would most likely lose her job. The airline scoffs at Stanley’s claims, stating they are an equal opportunity employer who treats all of their employees with respect. The Equal Employment Opportunity Commission states that “Unless it would be an undue hardship on the employer’s operation of its business, an employer must reasonably accommodate an employee’s religious beliefs or practices. In this case, it appears that it would be undue hardship of the employer’s operation to have other flight attendants do Stanley’s work like they had been doing since she refused to serve alcohol and didn’t do her work in other areas. Therefore, Ms. Stanley may be forced out of her job. Then she will have the opportunity to seek employment where she doesn’t have to serve alcohol. Perhaps she can get a job with Saudi airlines or work on the ground crew in ticketing or in some other capacity where alcohol is not an issue. If Stanley did this in the first place, all of this could have been avoided. The same holds true for Ms. Davis. As soon as she found out that the Supreme Court said that gays would have to be issued marriage licensed like everyone else, she needed to step down and find another job. It makes me wonder if both Davis and Stanley had another agenda- 15 minutes of fame.Are they Toxic People who are hiding behind the cloak of religion? Perhaps they wanted to make a name for themselves or they wanted to stir up controversy so that it would land them in the press (which it did). Along with that newfound fame, perhaps they were looking for a means to make some more money with lawsuits and potentially selling their stories to the media and subsequently writing books etc. The bottom line is that you seek out a job, a job doesn’t seek you out. You can be easily replaced by someone who is willing to obey all the rules and do everything that the job entails. If the job changesand has a new set of rules to follow that you can’r follow, then you need to either adapt or leave. If you change, like Charee did in becoming a Muslim, then you need to leave if you cannot adapt to the rules of the job based on your newfound changes in your own beliefs. In this country there is a separation of church and state. That also means companies are not run by religious laws or beliefs. If you cannot obey the rules of the job or do things in that job that would interfere with your moral or religious beliefs then don’t work at the job. Step down and get another one that is harmonious with your belief system. In my own life, I turned down many opportunities because it didn’t agree with my values or beliefs. I refused to participate in projects that didn’t gel with my beliefs and values. In our society, we have choices- many choices. I made my choices and these two women and others like them can make choices as well.